A migrant with a flesh-eating bacteria was detained at the US – Mexico border. Border Patrol agents learned that a migrant who was part of a large group of 306 migrants crossed the border illegally in a desolate part of New Mexico near the border with Mexico, is suffering from flesh-eating bacteria. Flesh-eating bacteria is a rare condition called necrotizing fasciitis that spreads quickly and can be fatal. The bacteria usually gets into the body through a minor cut or scrape and can cause a serious infection that can destroy muscle, skin and other tissue. Border Patrol officials said this is one of many ailments for which they are treating migrants. More than 100 Central American migrants tried to scale a border wall last week. 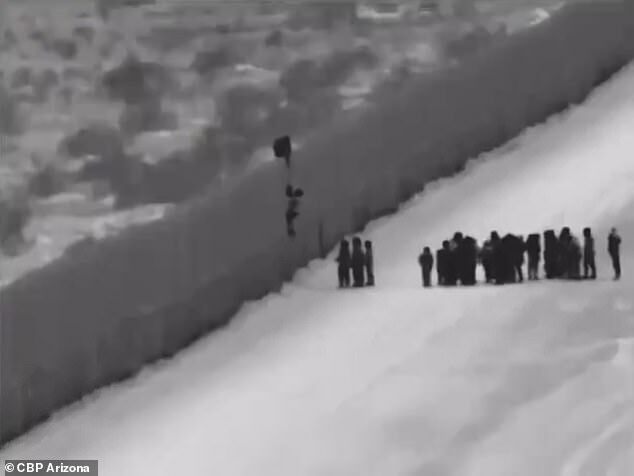 Customs and Border Protection Arizona released this video last week showing 100+ Central Americans illegally scaling the border wall. CBP Arizona says Yuma sector border patrol agents apprehended the group after scaling the wall with a ladder and help from a smuggler. The sparsely populated, desert area where the man with the flesh-eating bacteria, and the group of 306 had crossed the border, has experienced a significant influx of large migrant groups recently. The situation is getting worse by the day. As long as there are gaps in the border the migrants will continue to cross the border as is evidenced by the increase of large caravans making the dangerous trek through Mexico to the United States.